LilacsNDreams is showing more of the Vintage era of why to buy, why to wear, and of course the fun of seeing all things vintage too! Above you will be reminded of times past with some vintage shoes. 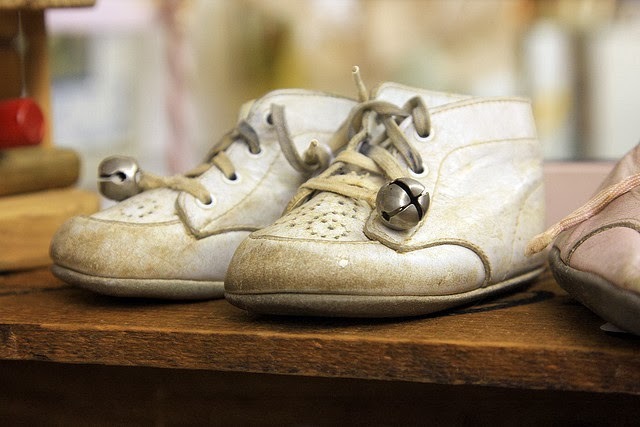 Of course you are seeing shoes for women, but we must not forget the baby shoes, and the vintage addiction carries into the men shoes as well. Hope you are having a little fun going back in time with memories, and of course how they still are here today with the vintage addiction of many collectors. A reminder that not only are people collecting these things for show, but they are also wearing them while some are being reproduced to be worn bringing back our times of yesteryear. What fun, right? Thanks for sharing your time with LilacsNDreams, and hope you enjoyed some of the memories being brought back to you. Enjoyed your visit, and hope to see you again soon. Have a Happy Day!